Washington, D.C. — TechNet, the national, bipartisan network of innovation economy CEOs and senior executives, today announced that Kelly Mahon Tullier, Visa’s Executive Vice President, General Counsel, and Corporate Secretary, and Chris White, Signify’s President of the Americas, have joined TechNet’s Executive Council. TechNet also announced that Box CEO, co-founder, and chairman Aaron Levie, Silicon Valley Bank CEO Greg Becker, and Bloom Energy co-founder and CEO Dr. KR Sridhar, each current members of TechNet’s Executive Council, will serve another two-year term on the Executive Council. In 2014, Kelly Mahon Tullier joined Visa, where she leads the company’s global legal and compliance efforts. 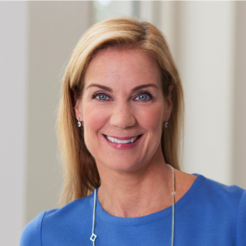 She brings extensive corporate legal expertise from her previous leadership roles, including her time as Senior Vice President and General Counsel for Asia, the Middle East, and Africa at PepsiCo, Inc.
Chris White joined Signify in 2018 to accelerate the company’s position as the world leader in lighting and advance the success of Signify in North, South, and Central America. Prior to joining Signify, Chris spent 20 years at Cisco in various leadership roles. “Policymakers and the private sector have a role to play in positioning the U.S. for continued global leadership in innovation. At Visa, we are committed to empowering students and workers of all backgrounds with the education and skills to succeed, and ensure that entrepreneurs have access to secure payment innovations to do business with more customers at home and abroad. This is a pivotal moment for the tech industry that will shape our global competitiveness for years to come, and I am pleased to join my colleagues on TechNet’s Executive Council to help advance policies that foster innovation and inclusive economic growth,” said Visa’s Kelly Mahon Tullier. “For the U.S. to lead in this 21st century economy, it is critical that policymakers at every level of government support a pro-innovation agenda that enables a secure, connected future. Signify is proud to be at the forefront of smart infrastructure innovation, connected lighting systems and services and as a leader in sustainability. I look forward to working with my TechNet Executive Council colleagues to ensure America remains a leader in technological innovation,” said Signify’s Chris White. In welcoming Mahon Tullier and White to the Executive Council, and in congratulating Aaron Levie, Greg Becker, and KR Sridhar on being confirmed for an additional term, TechNet President and CEO Linda Moore said, “Kelly and Chris each lead their companies’ work to promote forward-looking technologies that are revolutionizing the economy and our everyday lives. Visa, a trusted partner all over the world, has led the way on financial innovation and plays a critical role in facilitating digital trade. Signify’s connected lighting is at the forefront of smart infrastructure innovation, and the company’s carbon-neutral operations in the U.S. are an example for others on clean energy. We are thrilled Kelly and Chris are bringing their wide-ranging expertise on policies that impact the tech sector to TechNet’s Executive Council. “We want to thank Aaron, Greg, and KR for serving another term on TechNet’s Executive Council. We are appreciative of their continued guidance and leadership, and greatly benefit from the insights and knowledge they each bring to our efforts,” Moore continued. 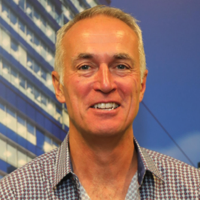 Chris White is the President of the Americas for Signify (formerly Philips Lighting). He is responsible for accelerating the company’s leadership position and expanding the role of the region as a critical hub of economic growth and innovation. He manages all commercial and operational activities across the company’s entire portfolio — from conventional and LED products to connected lighting systems and services — to advance the success of Signify in North, South, and Central America. A recognized thought leader on the positive disruptive effects of an increasingly digital and connected world, Chris brings a unique perspective on the IoT — from Smart Home to Smart Buildings to Smart Cities. His expertise is pivotal in helping Signify further expand its connected lighting offering to solve its customers’ toughest challenges. Leveraging his extensive experience managing industries and markets transformed by technology, Chris is a strong advocate for the immediate benefits of lighting today, as well as the untold potential of connected lighting to generate new business insights and deliver value that positively impacts people’s lives. Chris has held a number of transformational executive roles throughout his career. Before joining Signify, he was a 20-year veteran of Cisco where he held various leadership roles including Senior Vice President Global Sales, Strategy and Go-to-Market, and Internet of Things, where he spearheaded Cisco’s market leadership in IoT and generated a more than $1 billion business in three years. Before that, he was the General Manager of Sports and Entertainment Group, which under his leadership grew from $20 million to a $500 million business in less than five years. Prior to Cisco, he served on the leadership teams of two startups, one IPO, and two successful acquisitions by Microsoft and Cisco, respectively. Visa is the world’s leader in digital payments. Their mission is to connect the world through the most innovative, reliable, and secure payment network — enabling individuals, businesses, and economies to thrive. Their advanced global processing network, VisaNet, provides secure and reliable payments around the world, and is capable of handling more than 65,000 transaction messages a second. The company’s relentless focus on innovation is a catalyst for the rapid growth of connected commerce on any device, and a driving force behind the dream of a cashless future for everyone, everywhere. As the world moves from analog to digital, Visa is applying their brand, products, people, network, and scale to reshape the future of commerce. Signify, (Euronext: LIGHT), formerly Philips Lighting, is the world leader in lighting for professionals, consumers, and the Internet of Things. Its Philips products — connected lighting systems and data-enabled services — deliver business value in new ways while transforming and improving people’s lives in homes, buildings, and public spaces. Signify employs approximately 29,000 people and is present in over 70 countries. Signify unlocks the extraordinary potential of light for brighter lives and a better world and was named Industry Leader in the Dow Jones Sustainability Index for two years in a row. Its 126-year legacy of innovation is core to the business and to meeting customers’ needs. The company is pioneering breakthrough innovations by making bold investments in sensors, cloud-based controls platforms, connected lighting, indoor positioning technology, and consumer-based personalized lighting systems. Signify invests more than four percent of sales revenue in research and development to ensure it remains at the forefront of lighting innovation.